Out and about in snowy Vancouver today I gained some curious insight to various seasonal anomalies. 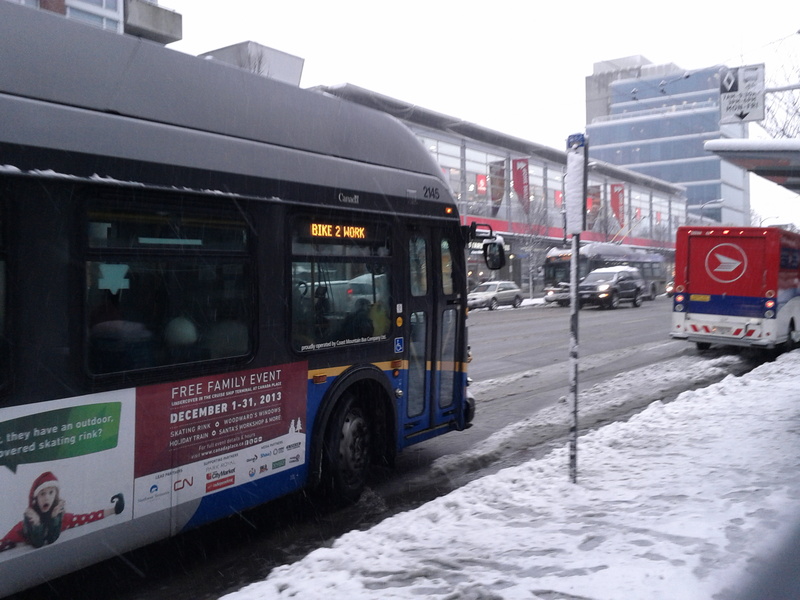 Neither snow nor rain nor heat nor gloom of night stays these busses from the swift completion of their Translink mandate to support biking 2 work. The ladies beside me at a coffee shop were confusing narcolepsy and necrophilia. Dangerous. I suspect those lead to different image search results. 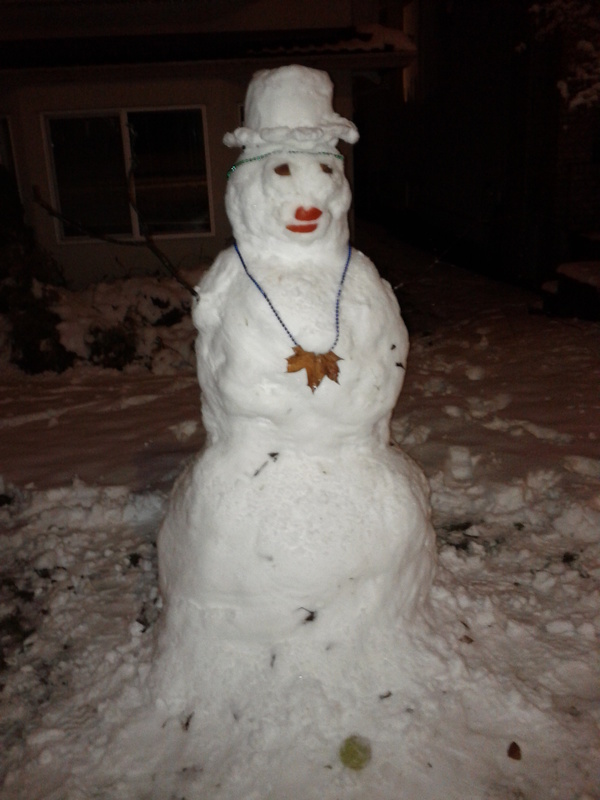 Vandalizing a snowman by adding a top hat just feels good. This entry was posted in Ramble and tagged broken english, snowman, Translink, Vancouver. Bookmark the permalink.